I got an opportunity to attend a week-long gathering of people interested in the teaching of Jiddu Krishnamurti last month. It was held in a picturesque little town of Murren located in Bernese Alps in Switzerland. My father, who has been a student of Krishnamurti’s teachings for a few decades, wished to attend this gathering and we went as a family – my parents, my wife and I. We attended the first week of the two week gathering. Like other Krishnamurti gatherings we saw videos of Krishnamurti’s talks, had panel discussions, small group dialogues and also had a space for people to share their personal experiences and insights. We also had guided hikes in the mountains. The gathering organizer, Gisele, a lovely lady, looked after each participant with great care. People came from a dozen countries mostly in Europe but also from the US and Australia. Many participants knew each other and had been part of this annual event earlier known as the Saanen Gathering since 70s and 80s. A gathering like this creates a space for deep reflection and impacts each participant in a unique way. Here I am jotting down the three things I took away from this event. 1. Role of silence in a dialogue: Our small group dialogues used to begin with moments of silence. The idea was that the dialogue remains anchored in silence. I knew this and yet there were moments when I was driven by the urge to speak. Our facilitator and other members were very helpful in pointing out to me and others that there is a need to slow down and let the dialogue flow through the silence. In fact, later I found it useful to imagine that each word was entering the pool of silence at the centre and new words were emerging from that pool. It was beautiful to experience it when that happened. Perhaps this is relevant to any conversation and I continue to experiment with this. 2. What is my primary responsibility? This question was discussed over two days in our small group dialogues. One the one hand, it was observed that the world is in a mess and I am deeply connected with the world. In fact, there is one famous Krishnamurti quote which says – You are the world. Then I must share the responsibility for the mess. And hence, my primary responsibility is to bring order to this mess. On the other hand, it was observed that it is not easy perhaps impossible to genuinely help anyone because the thought process that leads to conflict – anger, worry, frustration, is almost mechanical and reactive. In all likelihood, I am contributing to the conflict by being reactive too. Hence, my primary responsibility is my inner silence, non-reactivity or non-resistance. Perhaps my inner silence is the best help I can offer to the world. 3. 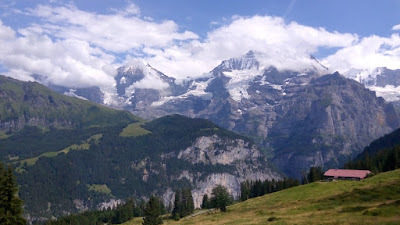 Nature as a teacher: Murren offered breath-taking beauty in myriad forms. We could see the majesty of the snow peaked mountains like the Jungfrau, a roaring waterfall like the Trummelbach falls, gentle streams, peaceful cows, bright flowers all in the same day. It is as if the nature is teasing our judgmental mind and saying, “You like to judge every situation, judge this scene” and it is humbling. One particular scene was insightful. I was watching the snow patches on the mountain and after a while I suddenly saw that a small patch of snow was not snow after all. It was a stream and it got misperceived as snow. It was a beautiful metaphor for how thought constructs solid objects in place of flowing things. Perhaps the solidity of “Vinay” is similar and it is a stream of thoughts getting misperceived as a solid “I”. Who knows? Overall, the gathering provided a wonderful opportunity for self-reflection and created new possibilities to experiment in the self-discovery journey. It was made joyous by the serene surroundings and the warmth of the people around us. How is innovation related to mindfulness? I work in two areas – innovation and mindfulness. I mention this while introducing myself. A natural question that I get after this is – are these two areas related? I see them as closely related. However, I could be biased. Hence, I thought of jotting my thoughts down and see if I get any inputs. This is an attempt in that direction. Before exploring the relationship between innovation and mindfulness, it might be easier to see the relationship between innovation and mindlessness. 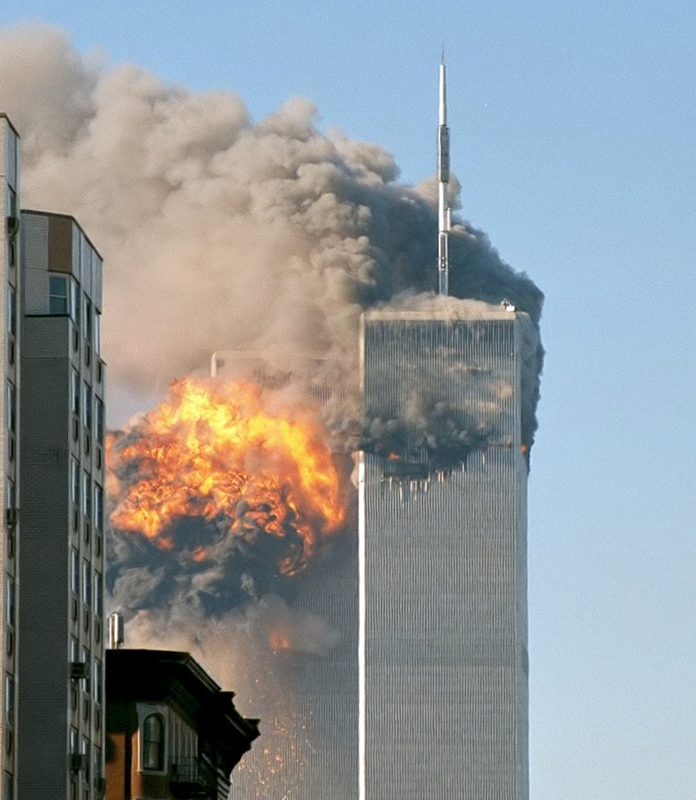 Let’s take an extreme example – 9/11 attack masterminded by Osama Bin Laden’s organization. 9/11 attack has all the elements of a radical innovation – A novel idea creating a huge impact when executed. The impact was positive when seen from Laden’s organization. They were trying to make the world a better place – from their perspective. It so turned out – their perspective was quite contradictory to the perspective of many others. In fact, rest of the world labelled this act as mindless. Thus an innovation may be the result of mindless thinking and may result into mindless action – at least as seen from a section of society. Innovation is a creative response to the perceived challenge. And mindfulness is about perceptual clarity – seeing what is. If what you perceive is distorted or muddled up, no matter how hard you try, no matter how many geniuses you put together, the response will be muddled up. If you don’t have the ability to see if you are solving the right problem, then you may be hurting humanity even if you have the best of intentions. Let’s take the case of Uber – a company that is known for its innovations and a company whose taxi service is running in 600+ cities across the world. I am a beneficiary of its service and perhaps you are too. Uber has had a rapid growth in a short span. However, things become murky when you ask the question – growth at what cost? It apparently fostered a culture where “back stabbing” of co-workers was encouraged and mistreatment of female employees was ignored. An investigation into sexual harassment issues led to the termination of 20 employees and eventually resulted in the resignation of the company CEO. Uber is a case where the intent of treating all stakeholders fairly got into conflict with the intent of growing the business at a certain speed. And the intent to grow overpowered everything else. Perhaps Uber is not unique and that every organization that is chasing a quarter-on-quarter revenue-profit targets is undergoing similar pressure. To make sound decisions under such circumstances needs intense awareness of not only what is going on outside – in the meeting room, in the company, in the market but also inside one’s own mind – the anxiety of falling short of the growth target, the damage to self-image for not meeting the investor expectations etc. This awareness is mindfulness. In short, innovation and mindfulness are connected deeply at the problem definition. Unless one is mindful of the distortions created by one’s own anxieties and aspirations one ends up solving the wrong problem. And nurturing a wrong problem is similar to nourishing a monster. You never know what shape it may take in future.